Hi Guys! We have a guest review today. Please welcome Sophia Rose from Delighted Reader blog as she reviews Ritual Magic. First of all, thank you so much to Ana and Sharonda for the opportunity to do a review at Brazen Babes. I enjoy visiting their blog and reading the posts and it’s a pleasure to be their guest. I know that diversity is a strong element at Brazen Babes so I have chosen one of my favorite diversity-rich Urban Fantasy series reads of the year to share with other readers. Each year, I challenge myself to read through a series to either finish it or get up to date. This year’s series is Eileen Wilk’s World of the Lupi - an urban fantasy series for the mystery and romance lover. It showcases her brilliant werewolf culture, but includes fey and demon realm races with gods and goddesses, dragons and magic wielding humans. Her characters are drawn with depth and her main characters pull the reader in for an intimate experience like a visit with old friends. In this latest installment which is the tenth in the series that must be read in order, Rule and Lily are at the eve of their wedding. They are helping to celebrate Lily’s mother’s birthday when things go dreadfully wrong. Julia Yu leaves the table at her favorite Chinese restaurant to visit the ladies’ room and comes out missing all her memories save the first twelve years of her life. Lily and her family are devastated, but it gets worse, more memory loss victims begin turning up. Some experience less loss and some more, but all of them have minds that are deteriorating including Julia Yu’s. Then a ritual death is discovered hinting at uber dark magic and ill intent. Lily’s suspicions are that her old nemesis, Robert Prior, is behind it all. With everything going on around her, she struggles to work the case and time is running out for the memory loss victims. The clues lead Lily, Rule, and the others to see that worse is yet to come- much worse, if they can’t figure out what is causing it all and how to stop it. I dove into this book and barely surfaced from it until the end. Lily and Rule along with their friends and family have gone through so much since the secret war began when a crazed goddess and her followers set out to destroy the Lupi and take over the world, but this latest situation is personal. Lily is forced to re-evaluate so many things about her relationship with her family and learns that, though she and her mother are generally at odds, she needs Julia Yu in her life. Lily learns why her mother is so staunch about their Chinese culture and her conservative ways when she gets to see her mother as a young girl and learns about her early life before her marriage and family. Lily and Rule both learn the value of not shutting each other out during times of personal crisis and that they really need each other most at that time. They have come so far in their relationship and now on the eve of their wedding both whole-heartedly want that life together. They are as passionate as ever. Rule adores his strong lady cop and is proud of Lily content to work alongside her. Lily is amazed every day that the handsome lupi alpha wants her and her inflexible, driven ways. But as always there is a paranormal murder mystery, a dire situation, and dangerous, deadly enemies to combat in a series of action scenes that keep the reader flipping pages. In summary, this was another unputdownable installment to the series and I highly recommend it to those who want a complex Urban Fantasy series with great background and setting, well-written characters and a blend of plot elements including the paranormal, mystery, and romance. 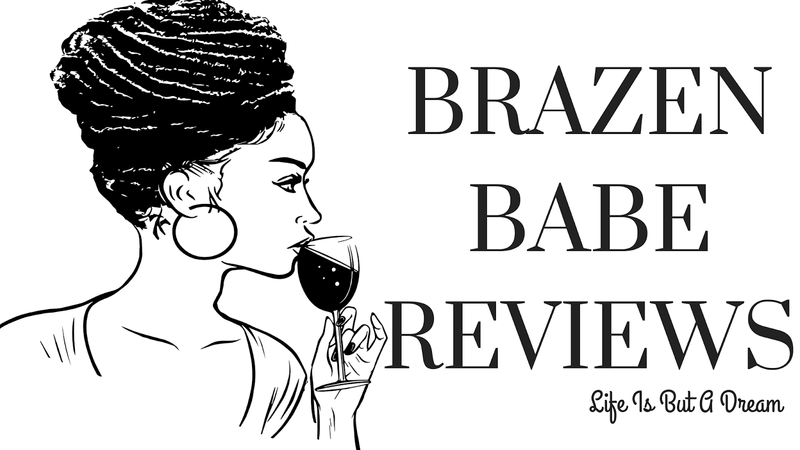 Note: if you're interested in guest reviewing via our blog, hit us up at brazenbabereviews@gmail.com. Thanks for letting me visit today, ladies! :) It was fun. Another series I want to read one day *hangs head* One day I'll get to it! Yay Sophia! Also, sounds like a fascinating read. Reminds me a bit of the game Indigo Prophecy. Guy goes to the bathroom and comes to having just murdered a man he's never met.